Mind mumbles — Posts tagged "open-source"
What's Neill Blomkamp been up to? 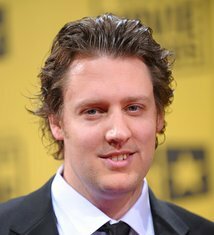 Neill Blomkamp has sort of fallen out of the public light since he made Elysium. For you folks who may not be aware, Mr. Blomkamp is the creative force behind the movies District 9, Chappie and the aforementioned Elysium. Not only did he direct these films, he produced and co-wrote some of them and produced much of the conceptual artwork. For those of you who may remotely log in to various computers on occasion and need to edit code, aee ( "Another Easy Editor" ) is the ticket.